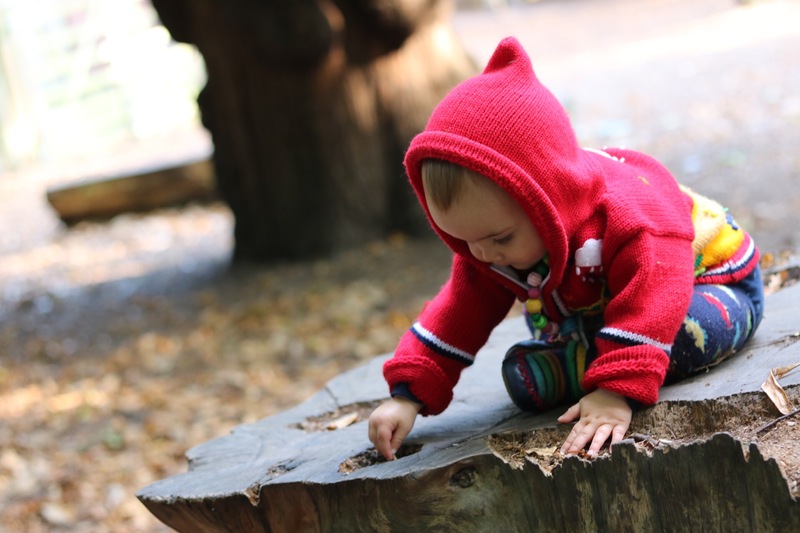 Research shows that outdoor learning environments stimulate a child’s imagination and contribute to their healthy development. Being outdoors is natural and healthy for children of all ages and enables them to thrive and learn. Even just going to your local park does you and your kids a world of good. I know when I’ve been cooped up, I crave nothing more than going on a little outdoor adventure with Eric. I love having no boundaries, no rules and just being able to be free. It’s upsetting how many children don’t get the opportunity to be outdoors enough. In fact, in 2016, the findings of a study were published in the Guardian and revealed one in nine children had not set foot in a park, forest or beach in a year. 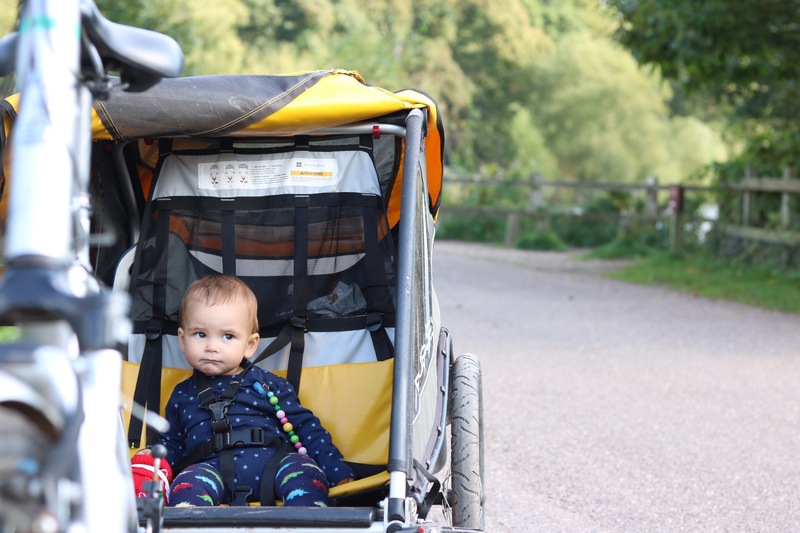 For us, venturing outside as a family started straight away as soon as we were confident enough to go out with a baby! 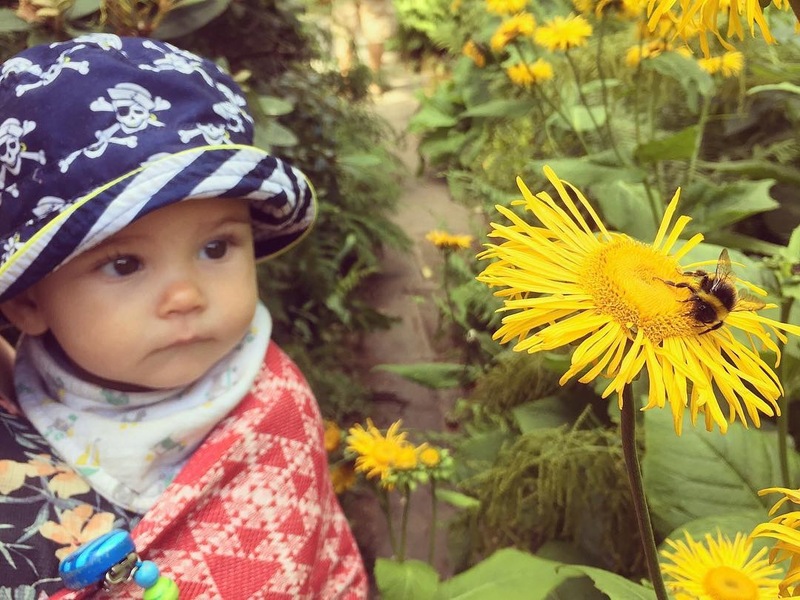 Eric was born in October, though, so it wasn’t really until the Spring after we were able to truly enjoy the outdoors with him. 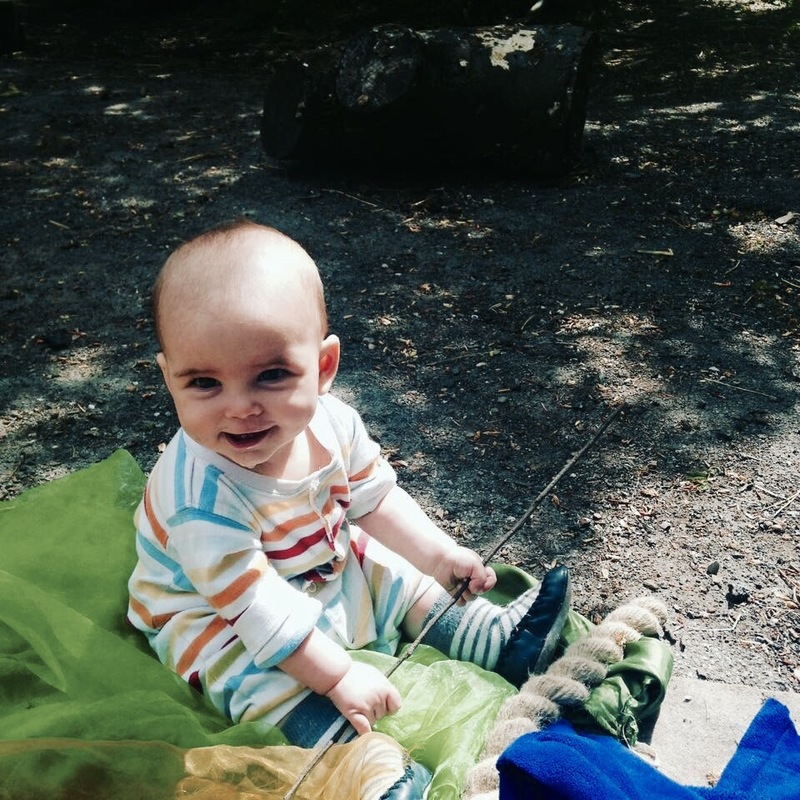 As a new family of 3, we really enjoyed going to local parks, playing in the grass, having picnics and watching nature in the warm months. 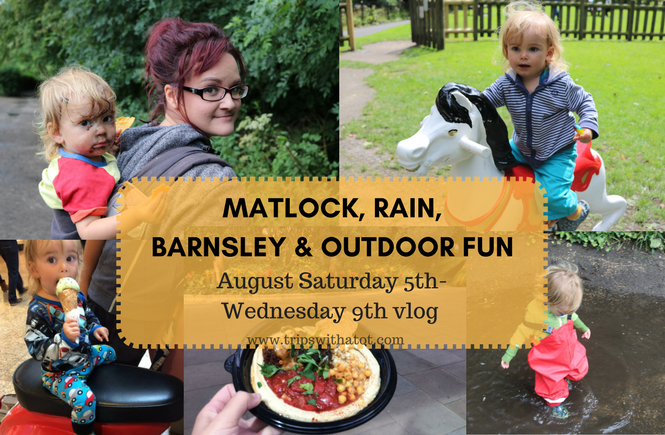 Water play outside at splash parks and sand play at adventure playgrounds was something easy and fun that Eric enjoyed even before he was 1 year old and right through the year we had so many lovely days out in the fresh air. Parks, woods, forests and gardens. Everyone has access to a local park to explore and nature is just around the corner waiting for you to discover. Parks, gardens, woods and forests are places that are quite convenient to everyone; easy to find, usually close to where you live, and free. Look at flowers, plants, wildlife and learn about them. Collect a variety of natural items. Depending on age, these can be used as sensory play when baby is young (to feel, touch, hold). Build mud sticks, mud pies and nests. Look for worms and do a bug hunt in the grass. In your local park or green space, find a secret corner or hole and hide an object. When you return, turn it into a scavenger hunt to find it again! Create a treasure hunt for natural items and find types of things like; yellow flower, large long sticks, white feathers, black stones. Take out a empty lunchbox with you and collect up the items you and your child find. When you get home you can add these to a sensory box, make crafts together or create a wild soup. 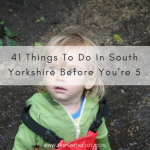 Put on the waterproofs and crawl around in the mud & make mud pies. Hunt for fairies and trolls. Simply collect and play with stones. Try and find a stick man. Compare different types of fallen leaves. Have a picnic on a log or fallen branches, somewhere instead of a picnic bench. Playing in trees together is great fun. 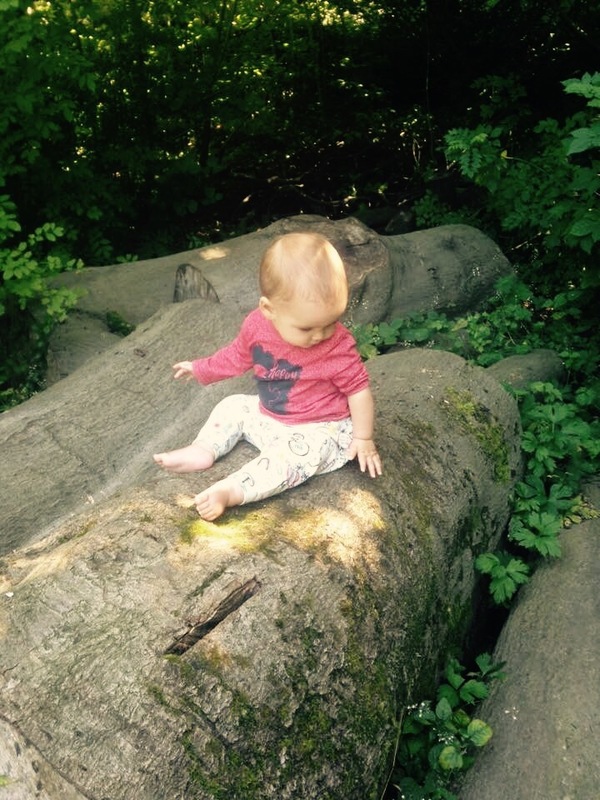 If baby isn’t mobile, sit on trees and touch/feel different types of trees. Look at a variety of tree roots, leaves and stumps. Sit, climb and play in the trees. Picnics are auitable for all ages everywhere! 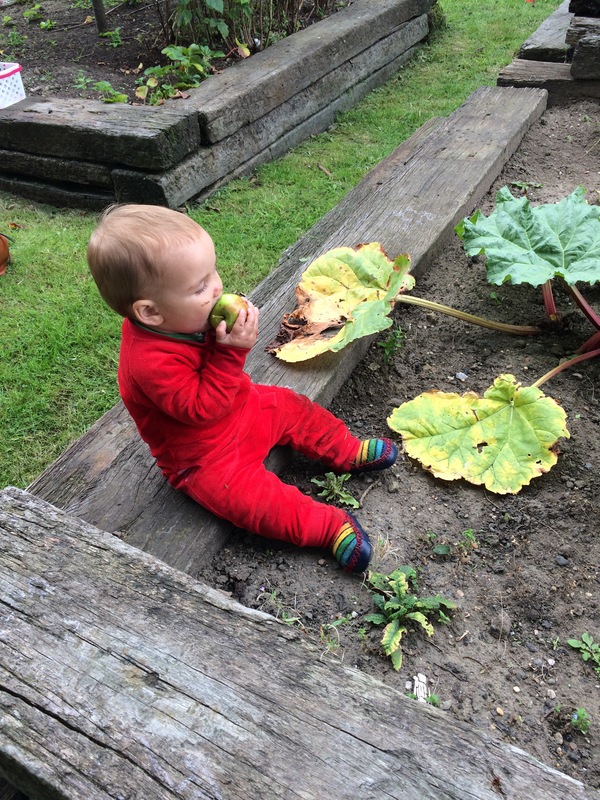 Small babies can lay down on the grass if not mobile and touch different leaves and the textures. Create a den and find shelter, have a nature teddy bears picnic or build a basic fire. Try to find the homes of moles, bunnies and squirrels. Discover your local countryside and go for a walk. Find your local nature reserve and see how many types of wildlife you can spot. 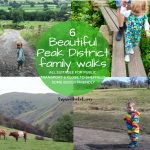 See my 6 beautiful places for Peak District walks suitable for families. 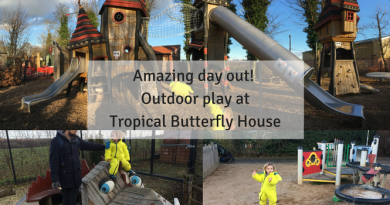 Nature trails, pond dipping and structured activities. 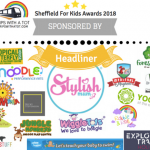 Nature reserves, National Trust parks, animal farms and many other outdoor attractions have fun activities for families to take part in. 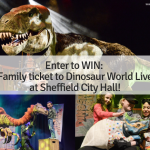 They encourage family and friends to get together and solve a trail, puzzles, hunt or do a task together. 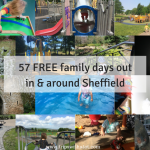 Lots of fun and usually very cheap or free! Check the National Trust website for upcoming events, ranger tots, organised trails and more. I recommend the seasonal trails such as Halloween trails and Easter egg hunting. 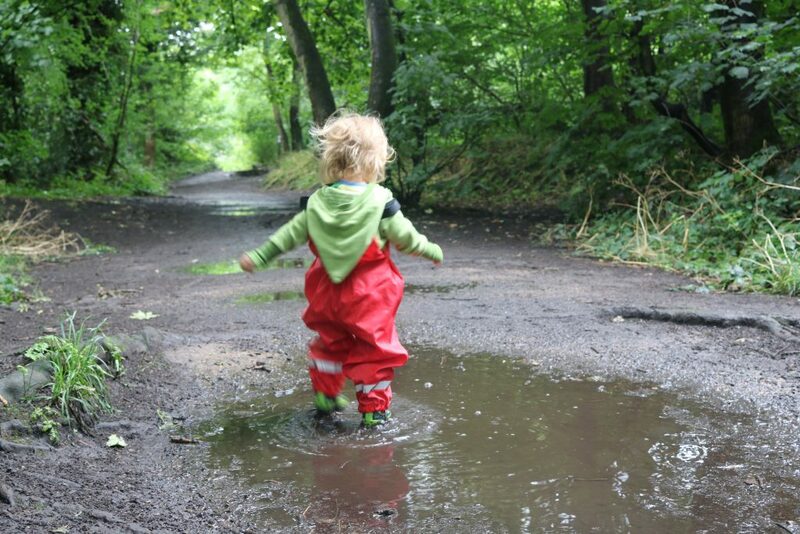 Look for local woodland playgroups, forest schools and outdoor nurseries. 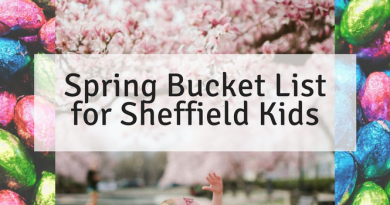 Get in touch with local farms to see if they offer any of these activities for children. Create your own nature trail. Take part in an adventure walk. We love the free Room on the Broom trail at Anglers Country Park! 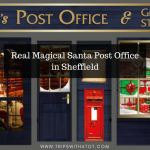 Visit Sherwood Forest and do the Gruffalo trail. 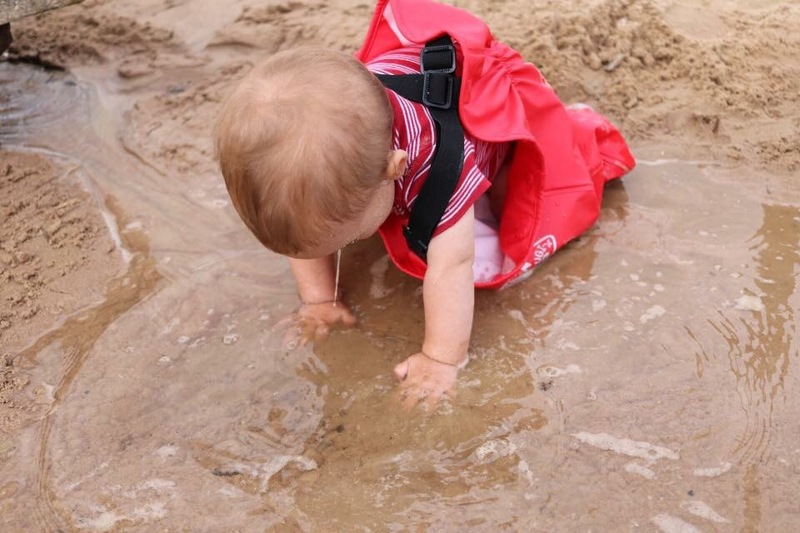 Beaches, play parks and adventure playgrounds are a fantastic way to experiment with water and sand. Mixed together they make interesting texture to play, build with and touch. 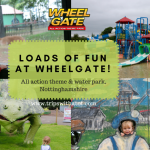 There are many adventure playgrounds which have water and sand play areas, and some local parks have water play areas. Don’t forget the local beach makes a fantastic natural playground, too. 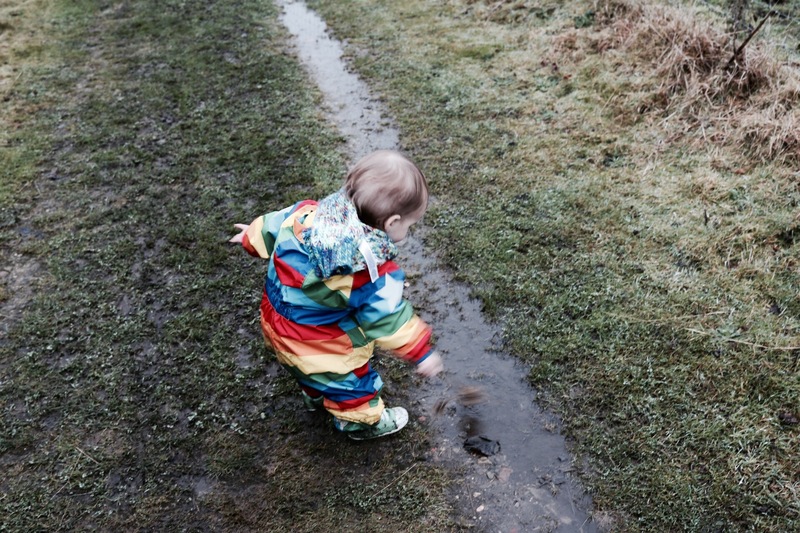 And if it’s raining, even better; go out and enjoy puddle splashing! Sit in rock pools and fountains to feel the textures of water. Go to the beach and feel the sand between your toes. Play with sand and water with different containers. Play with favourite toys in holes filled with water in the sand. Run through fountains, jump the waves or go paddling. 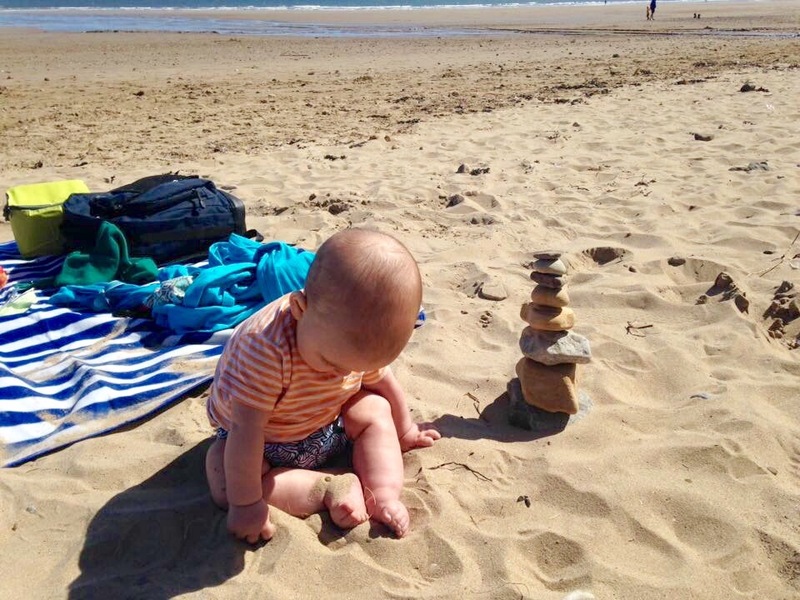 Take little toys to sandpits for hiding in sandcastles then knocking them down. Build sand castles, crawl in sand, fill containers with sand and water. Find the biggest puddle to splash in. Run through puddles bare foot. Dig in puddles with sticks and stones. 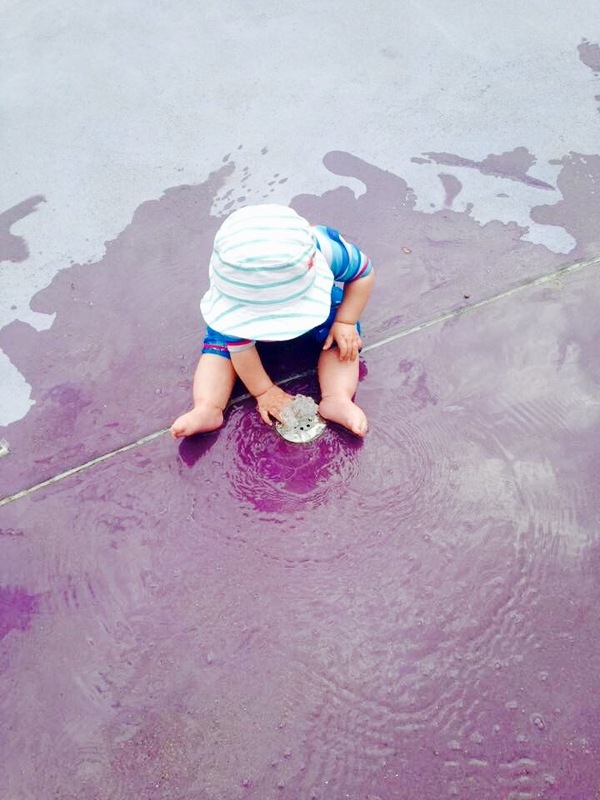 Take bath toys outside to play with in puddles. 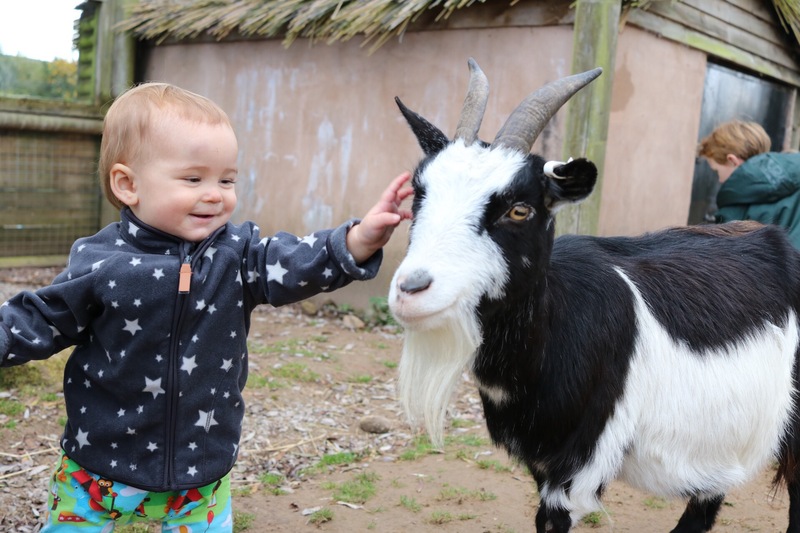 Farms are fun for all ages and mean children can play with animals, feed and they are good environments to explore and toddle around in. Many farms have activities and sessions for families. Talk about different animals and what they do. Joining in with animal handling sessions. Sit with, stand with, touch and feed the animals. 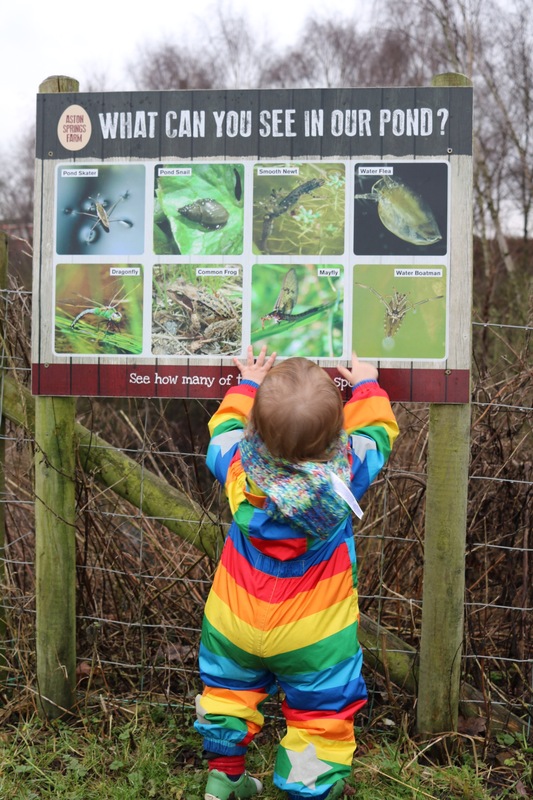 Join in with nature trails on the farm. 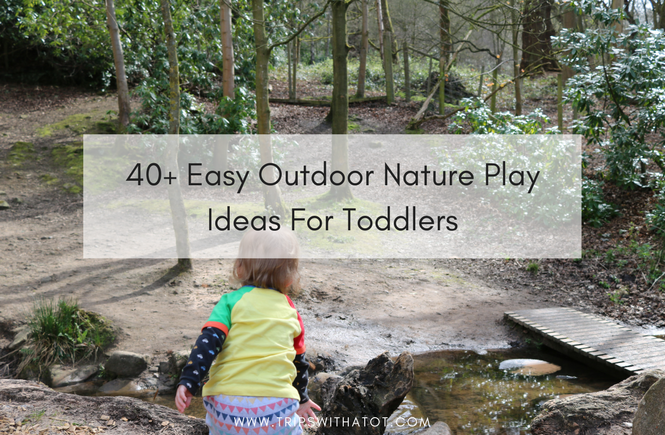 There are so many more things you can do outdoors with children of all ages. Here is a few more. Mud kitchens; At various forest school groups, or to purchase, or just make your own! Foraging; If your child isn’t old enough they can observe you and touch the foraged items, see how they feel. When of age to join in; set activities to find certain fruits and seeds, collect them in containers for eating or other projects. Gardening; Get kids involved with gardening by helping to plant seeds, de-weed, helping pot plants, digging up roots, looking for worms and bugs, etc., If children are young they can sit and observe and feel the dirt/mud and various plants. An allotment is a great idea if you don’t have a garden. 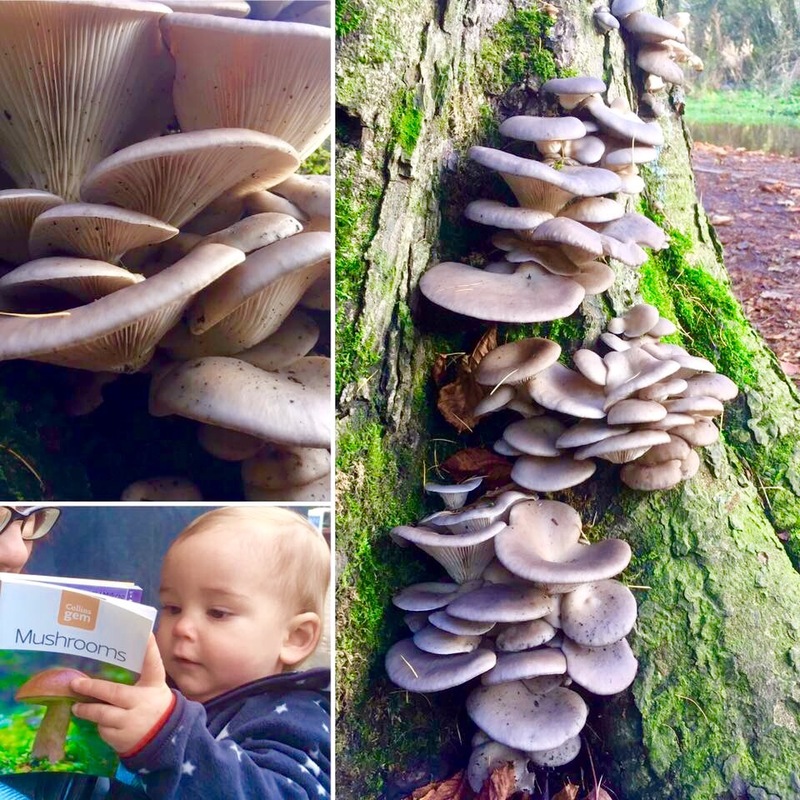 Seasonal outside activities; Playing in snow, foraging, barefoot walks, farm visits at spring time to see new life, jumping in big piles of crunchy autumn leaves, snow drop walks and pond dipping are all ways you and your family can experience the differences in season outside. 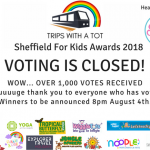 Caves; There are many caves in the Peak District to explore and allow children. I love the Heights of Abraham which has fantastic playgrounds and caves, Castleton and Buxton, too.